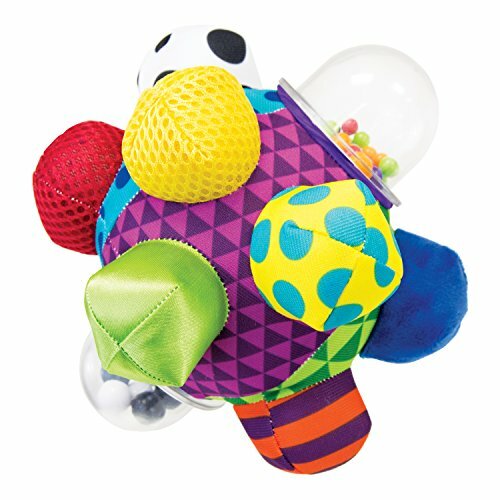 The bright colors and bold patterns on this ball help engage baby's developing sense of vision. The easy-to-grasp bumps on the ball help baby hold, toss or roll it. One clear plastic end contains multiple color beads and the other contains high-contrast black and white beads, which both make a rattle noise and attract baby's attention. The soft ball construction is appropriate for baby's environment. If you have any questions about this product by Sassy, contact us by completing and submitting the form below. If you are looking for a specif part number, please include it with your message.